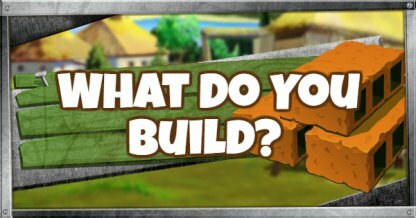 This guide is for players who want to learn more about crafting building structures in Fortnite Battle Royale! 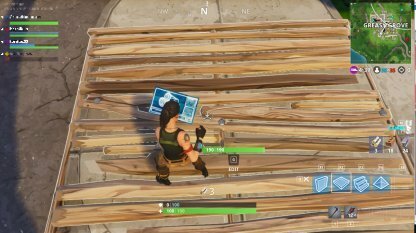 Building is a main element of Fortnite's gameplay. 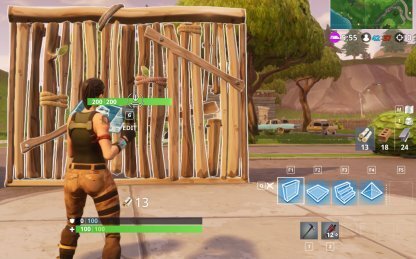 Let's briefly review what you can build using Fortnite's building mechanic. Walls break your enemy's line of sight, and give you a few moments to catch your breath. Think of your next move while you're safe! Floors can serve as platforms for you to traverse difficult terrain. If there is no other way, make your own! Stairs allow you to get to higher ground more quickly. It also gives you a height advantage against enemies. Roofs can protect you from grenades and other throwable weapons. Place this over your head to create a makeshift helmet! 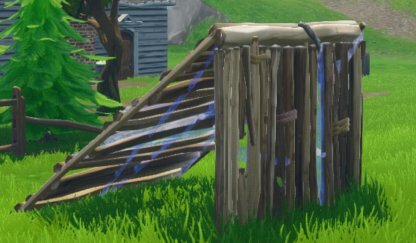 Building cover gives you some breathing space in Fortnite. It breaks your enemy's line of sight, while also gives you time to re-think your strategy. Create Your Window Of Opportunity! Editing your cover allows you to make a window. By making this window, you gain a line of sight, while not fully exposing yourself to the enemy. Doors can give you a way out without breaking your walls. You can trick the enemy into focusing their fire onto your structure by sneaking through the back. Gaining a height advantage over your enemy drastically improves your chances of eliminating them. When engaging an enemy, remember to gain the height advantage. 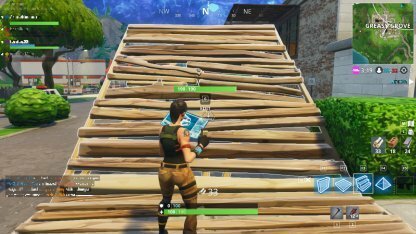 Creating a wall with stairs immediately behind it is a basic tactic in Fortnite that provides both cover and height advantage. It makes the enemy waste bullets trying to destroy your wall first before your height advantage. Building a fort grants you superior height advantage over your enemy, while also providing great cover because of the fort's structure. 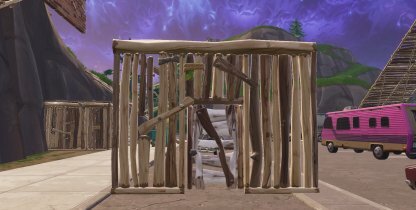 However, it will take some time and a lot of materials to build a fort. 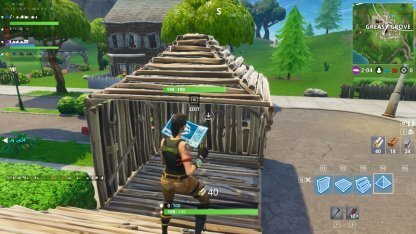 Having a Port-a-Fort in your inventory allows you to immediately deploy a tower fort when used. It is a one-time-use item so use wisely! Floors provide you a way to travel across difficult terrain! What can you do with bridges? Crossing bodies of water drastically slows you down. Building bridges will help you cross it faster than going around the lake! Remember you need an anchor first to build the bridge! Need to get to another roof in a pinch? Or how about get to another hill? No problem! Bridges can cut down your travel time! 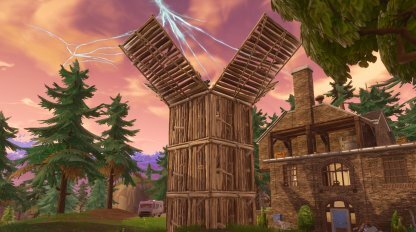 Other than having a traditional fort, you can create a massive structure of random building units to create a huge height advantage and cover. 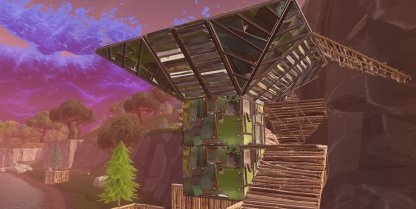 Keeping your enemies guessing your exact location in your structure is a perk of building vertical mazes, it can fool an enemy into thinking you're on the top floor when you could be hiding in the 6th! By using random pieces you can block an enemy from getting to the higher levels with floors and stairs. This can buy you some time when they try to break it down with their pickaxe, or waste bullets destroying it.